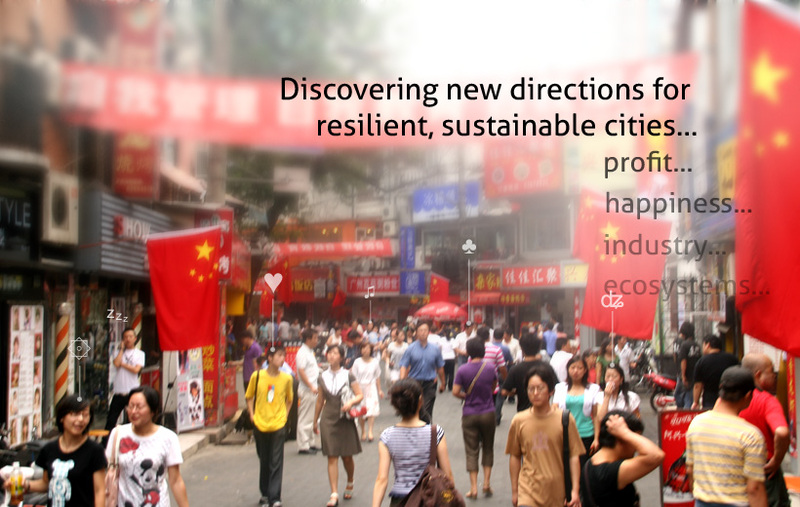 We deliver concepts and strategies for resilient, just, and inspiring cities, companies, governance, and industry. We activate this by bringing together private and public partners and guide them towards systemic and fundamental improvement, where all stakeholders benefit. We're driven to bring each client and project the benefit of experience of over 20 years, in 600 projects, on 4 continents. 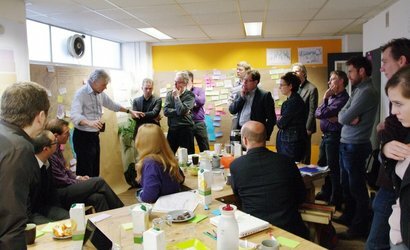 To face the challenge of true sustainable development, we curate a team of 30 experts combining science, design, and business intelligence. We use innovative systemic analysis to research the challenge, apply business intelligence to develop road maps towards resilience. We then execute solutions with inspiring design, together with carefully selected partners. In this way, we bridge gaps between sectors to accelerate the frontier of sustainability, and create groundbreaking concepts that are both realistic and feasible. 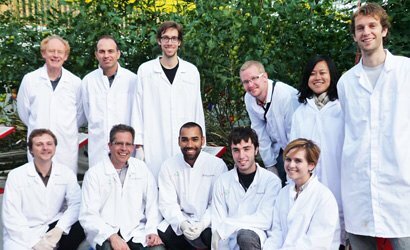 We’re a passionate, practical, and dynamic team, known for our interdisciplinary and innovative approach. 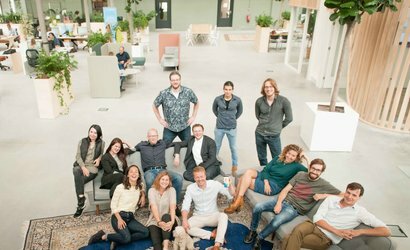 Our team works around the world, with our base in Utrecht, the Netherlands. In Utrecht, we built our own office in a listed heritage building that we made a world-first in energy neutral, circular , and toxin-free construction. We develop and apply the Symbiosis in Development (SiD) systems-thinking framework. SiD sheds light on complex challenges, speeds up strategic decisionmaking, and applies dynamic analysis and visualization tools. SiD incorporates areas such as the circular and bio-based economy, iterative design, social justice, and crowd-based development. We guide our projects from beginning to succesful implementation. We work in multi-disciplinary teams, led by experienced process managers,. involving stakeholders along the way. This way, we realize concepts that have greater positive impact while reducing costs and lead times for stakeholders. We work according to stringent operational principles, sustainability and ethics guidelines, and a commitment to delivering on time, within budget, and with impact beyond expectation. We believe we need both profitable business and effective government to create the foundations for a sustainable society, as well as support from people globally. To accelerate this, we help develop awareness by sharing our knowledge in seminars, publications, workshops. Our work is shared using open source licenses wherever possible, and all available knowledge is published on this website in depth. 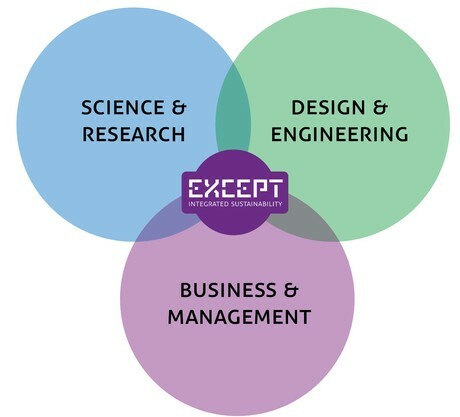 The Except Group is spearheaded by the Except Integrated Sustainability Foundation, a certified non-profit registered in the Netherlands. The foundation manages our guidelines, the development of SiD, and safeguards our knowledge for public access. 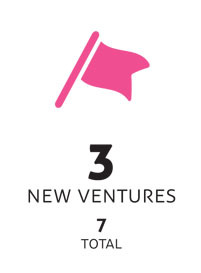 The foundation also launches independent projects and launches spin-offs. Client projects are managed by the Except Integrated Sustainability B.V, a platform without a profit motive. The platform ensures quality and continuity. Projects are exectued through our international network of certified and comitted sustainability professionals; the Exceptionals. 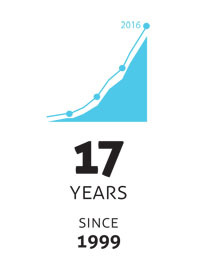 Founded in 1999, this is Except’s 17th year pursuing its mission of creating the foundations for a sustainable society. 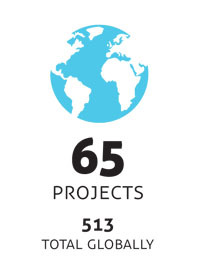 With 65 projects in 2015, our total now stands at over 500 projects in the Americas, Asia, Australia and Europe. Never go alone. 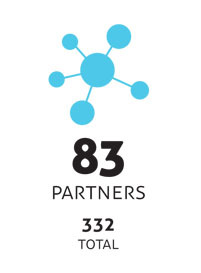 This year, more than 80 partners and experts joined us in our mission, with over 300 partners through the years. We estimate a direct positive impact on over 8,700 individual lives this year, and 100,000+ since 1999. Indirectly, we estimate a reach of several million, with tens of millions in our awareness and knowledge programs. We’ve started three new ventures and non-profits this year to support sustainable development, including the Except Sustainability Foundation and the Utrecht Community Foundation, to bring the total up to 7. 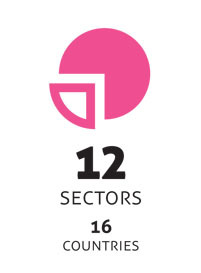 This year we developed projects in over 12 sectors, including resilient cities, buildings, organizations and circular industries, strategy and policy, bio-based industries, software and training. 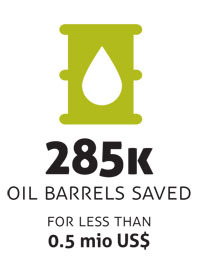 An example project: systems thinking in combination with smart design in a single project for IKEA saved 285,000 barrels of oil this year (about the energy footprint of the entire state of South Carolina), and increasing savings for each next year to come, for less than .5 mio US$ in cost. 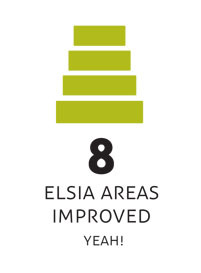 Projects had positive impacts across all eight SiD ELSIA categories of sustainable development, including renewable energy, health, wellbeing, economic diversity and resilience, entrepreneurship, biodiversity, and cultural expression. 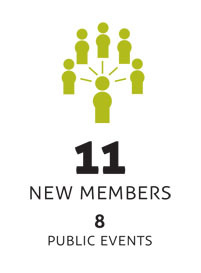 To help make this possible we welcomed 11 new members, of which four staff. We held five public events including four Grid Nights, opened a new office at Schiphol Airport in Amsterdam, and started preparations for a new head office. Our mission is "to create the foundations of a sustainable society". Our vision is that we can. We believe we can do this while creating beautiful cities, successful businesses, happy people and an exciting world to live in. Our approach combines insight and experience from over twenty disciplines from a strategic level down to design and implementation. By gathering the perspectives from these disparate fields we can form custom solutions that work better in all dimensions, and assist in all sustainability related areas. 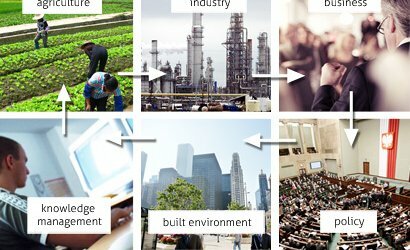 We build bridges between sectors as disparate as agriculture, knowledge management, management consulting and sociology. 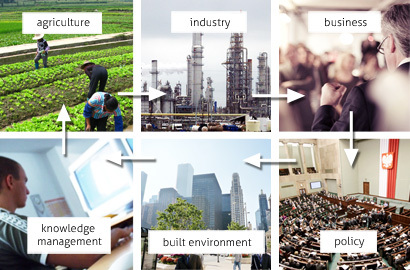 Connecting industries allows existing solutions from one sector to become breakthroughs in others. Sustainability touches upon all aspects of society. So does our work. To do this we developed the SiD method. Our Symbiosis in Development (SiD) method defines what sustainability really is, and allows us to work on the full spectrum of sustainability. SiD is a systemic approach that lets us see through the complexity of dynamic systems, finds more opportunities and prevents future issues. 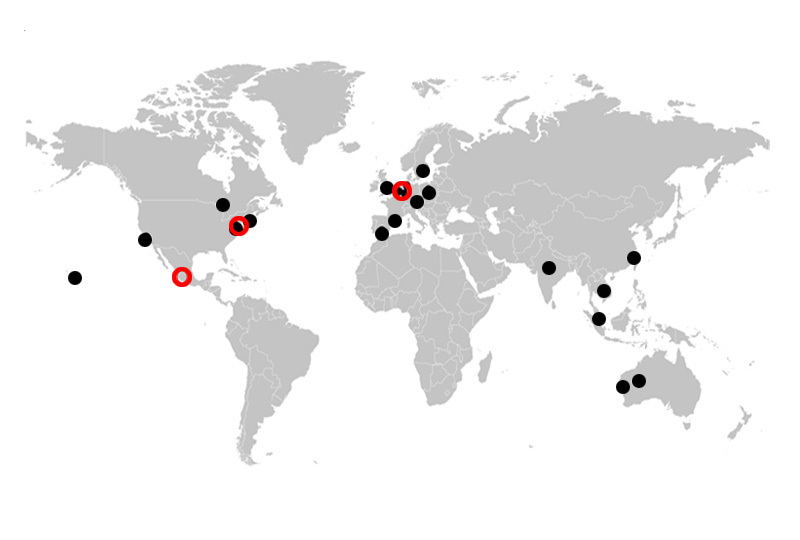 We work for visionary clients on four continents since 1999. 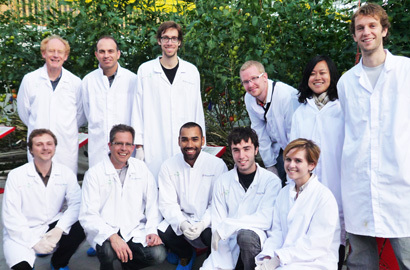 We learn from experiments in one country, and use this to develop new solutions in others. We scan the globe for smart ideas that can help move us forward. Among us, we speak a dozen languages and provide local knowledge spanning many countries and regions.